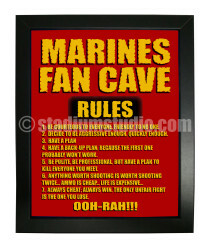 Let everyone know the rules to your fan cave the moment they step into your home. 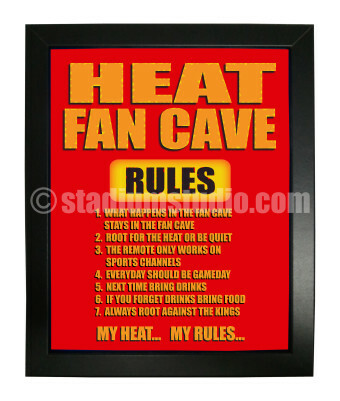 With the Stadium Studio Harrisburg Heat Fan Cave Plaque in its black frame, you can let your friend know the 7 rules to your fan cave. 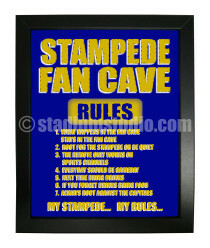 Now there are no more excuses for someone breaking your fan rules!